Cotswold Warden Jennifer Shaw on her August patrol met a couple of US tourists walking south from Birdlip. They talked at length about their difficulties crossing from Crickley Hill Park to the Air Balloon the previous day. The road was very busy – late afternoon on a Friday – and it took them over twenty minutes to get across. Some of this time was spent looking for an alternative crossing point but of course there isn’t one. The Cotswold Warden had heard similar stories before, so kicked ideas around with John her husband, wanting to try to find an easier crossing. Between them they devised a possible route involving crossing the A436 from Crickley Hill Park and then going through the wooded margin alongside the roundabout and the eastbound A417 to meet the Gloucestershire Way and use it to meet an unclassified road that passes under the A417 at Barrow Wake. 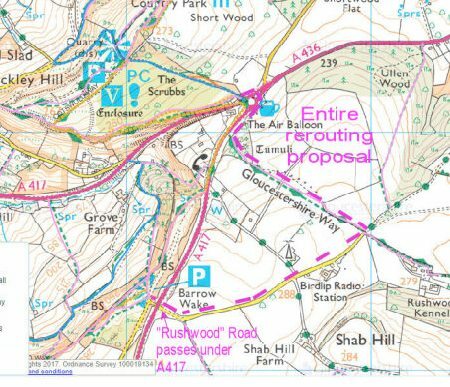 This would add around half a mile to the existing route, and would also increase safety for walkers using the Gloucestershire Way. 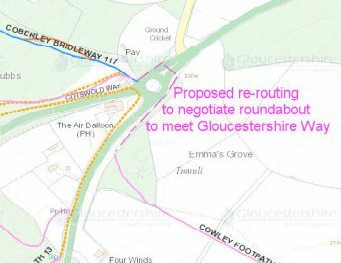 The scheme has been shared with the Gloucestershire CC Rights Of Way Officer and the Area Highways Manager responsible for the A436. 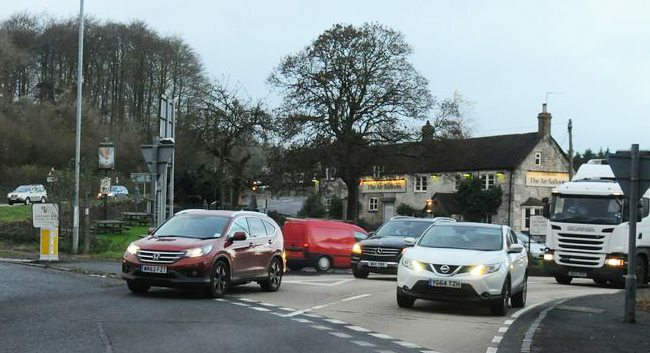 They have undertaken to discuss its viability with Highways England who are responsible for the A417. Much depends on who owns the land. If the scheme is accepted as viable we hope some of the work clearing ground and constructing a new footpath can be done by the Cotswold Wardens. Have you a story to tell about how you made this crossing? Have you any comments to make on the proposal for a new crossing? Please get in touch with us at info@cotswoldwayassociation.org.uk and let us have your views.